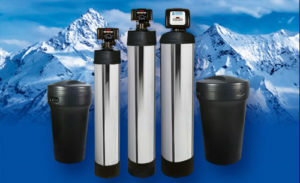 Vertex VariSoft™ Water Softerners use less salt and waste less water than conventional ion-exchange softeners. The On-Demand meter control with blending valve allows for less regeneration cycles, which reduces water and salt usage. 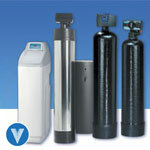 Use the VariSoft line of softeners to eliminate limescale buildup on pipes, fixtures and water heaters. Reduce detergent use up to 70% and increase water heater efficiency by as much as 29% for gas or 22% for electric. 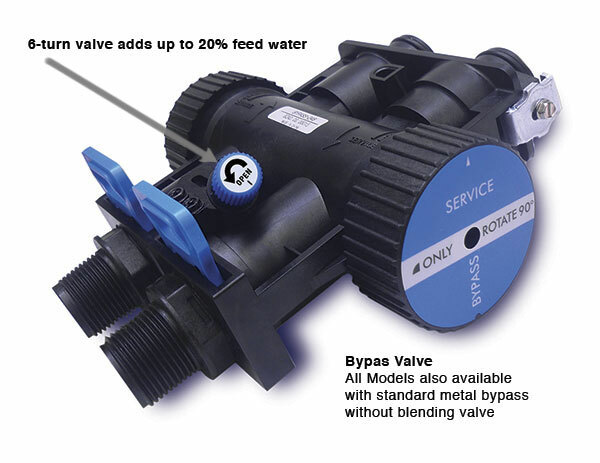 The On-Demand meter control with blending valve allows for less regeneration cycles, which reduces water and salt usage. The VariSoft also includes a high efficiency injector that saves even more water. Get cleaner, softer clothes while reducing plumber and appliance service costs. Choose one of 3 sizes up to 60,000 grain removal. Nominal Resin Capacity* 1.0 Cu. Ft. 1.5 cu. Ft. 2.0 Cu. Ft. 1.0 Cu. Ft. 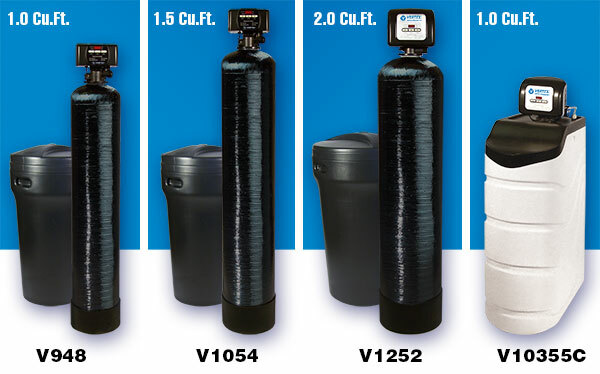 Overall Dimensions H-56", W-25", D-15"
H-62", W-25", D-17" H-45", W-13", D-25.5"
© 2017 Vertex Water Products. All Rights Reserved.